Silks and Tassles and Ears, Oh My! 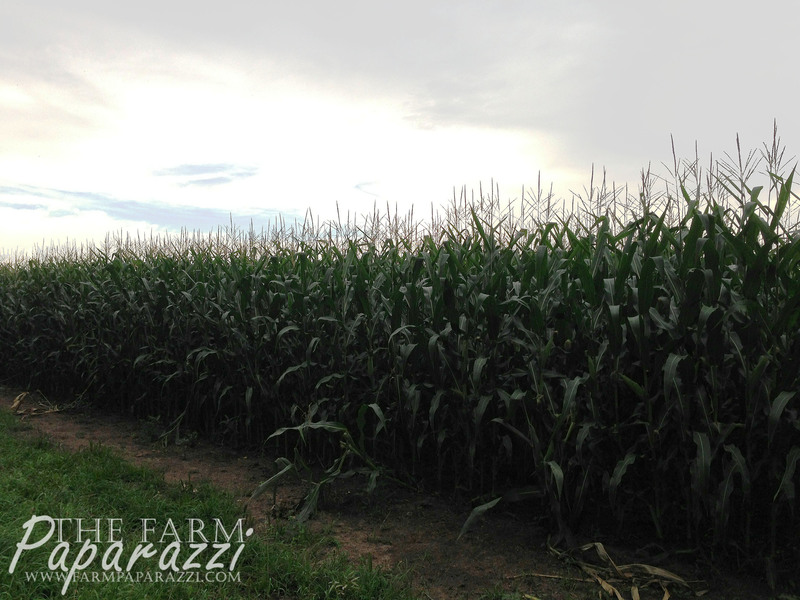 The corn is growing and looking good on this field we’re farming! If the hail and the racoons will stay away, we’ll have a really nice crop to harvest here. 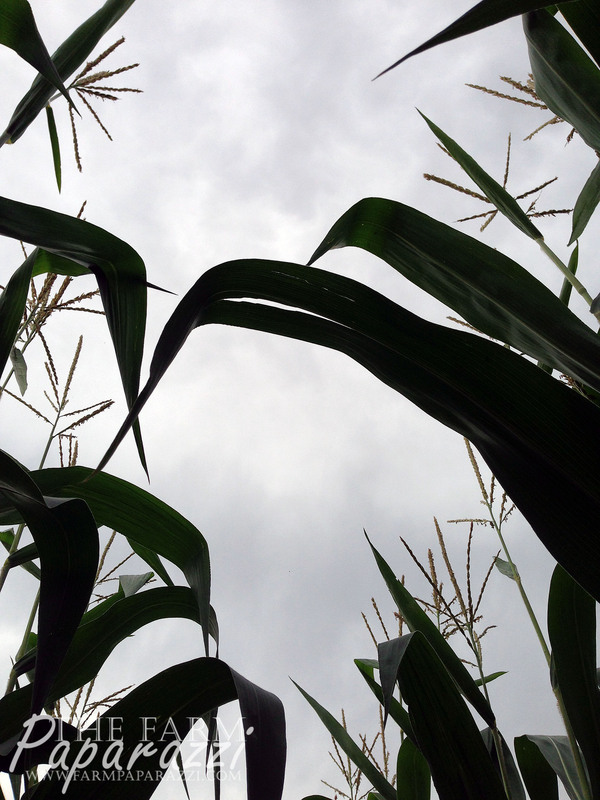 Right now, the corn is around 8 feet tall. 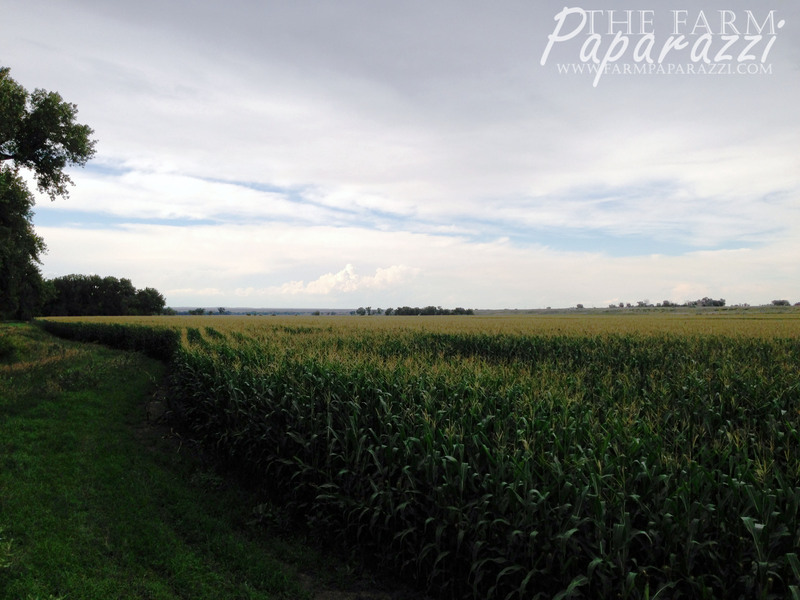 Even when conditions are right, you’ll still see corn at varying heights. Different varieties are used for different applications. Some is planted with the goal of producing mostly grain and some has the purpose of the whole stalk being chopped for corn silage. 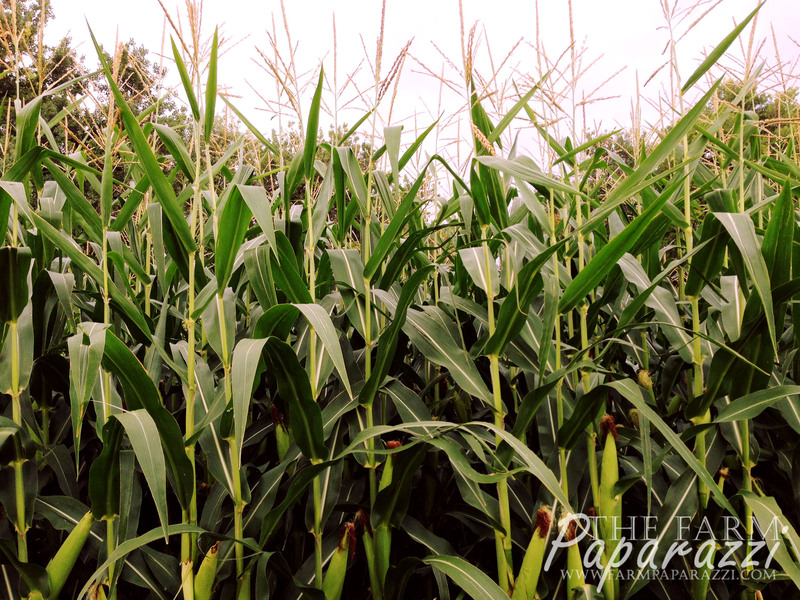 Silage corn is usually taller because the farmer is concerned with both tons of silage and bushels of grain. Right now, you’ll also notice varying colors of silks. Some are brown and some are white. When they turn brown, it means the tassels at the top of the stalk have done their job of dropping the pollen down onto the silks (white strings) and the silks have done their job of collecting and using the pollen. 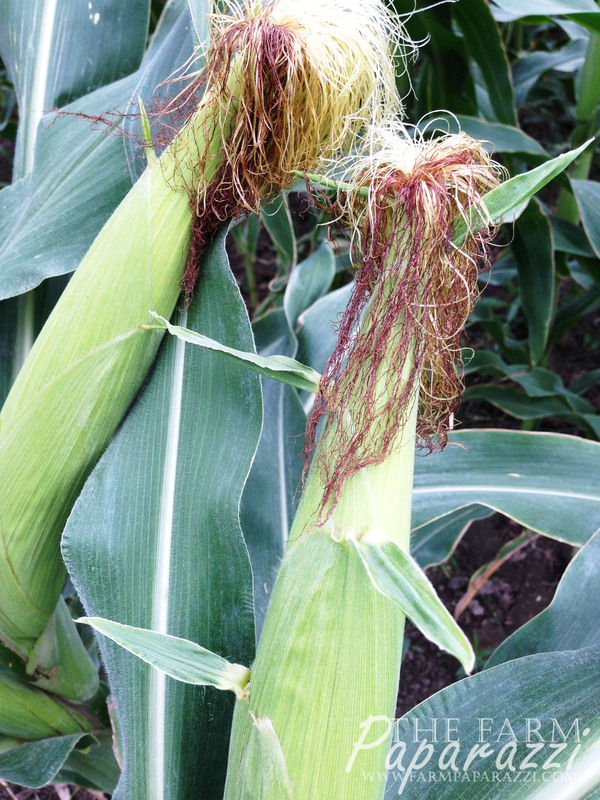 This pollination is what makes the kernels of corn develop. Each tiny thread of silk = a kernel of corn. 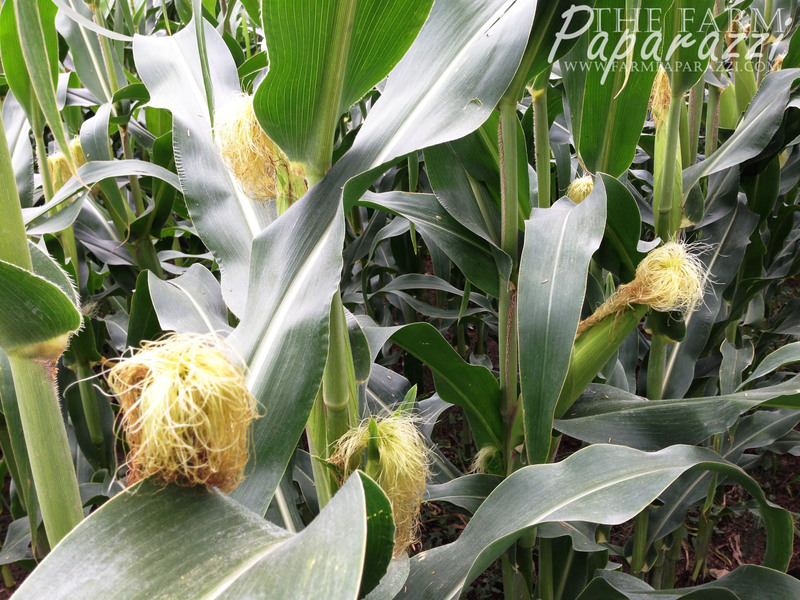 For those of you interested, you HAVE to read this funny and informative post by Darrie Carrie about the whole pollination process. 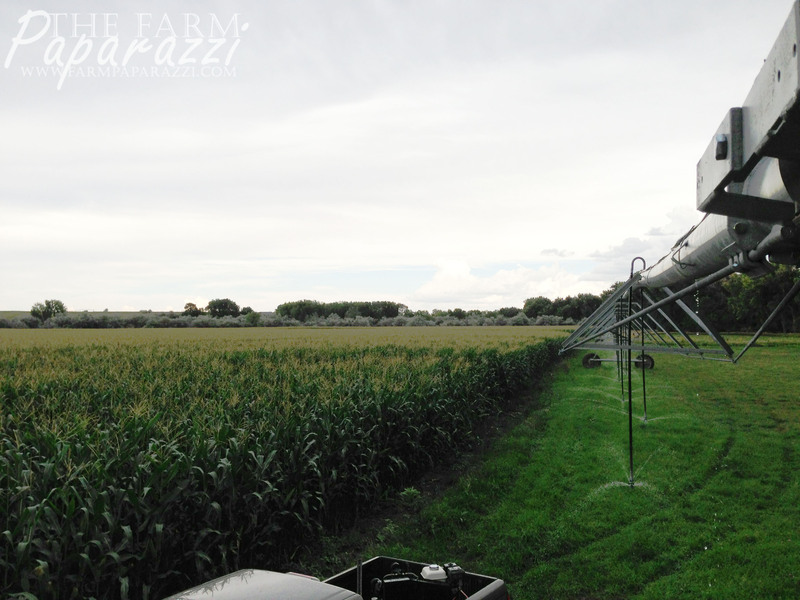 Here in the Wheatland Flats, we get our water through the Wheatland Irrigation District. I’ll have to tell you all about it someday, its history is fascinating! No seriously, it is! Anyway, as I’ve mentioned before, it’s a “short water year”. The allocated water ran out the first part of August, when normally we irrigate through mid-September. So, most of our fields are out of luck, unless we get some serious rain. (This is where the whole prayer and trusting-in-God thing comes in handy.) 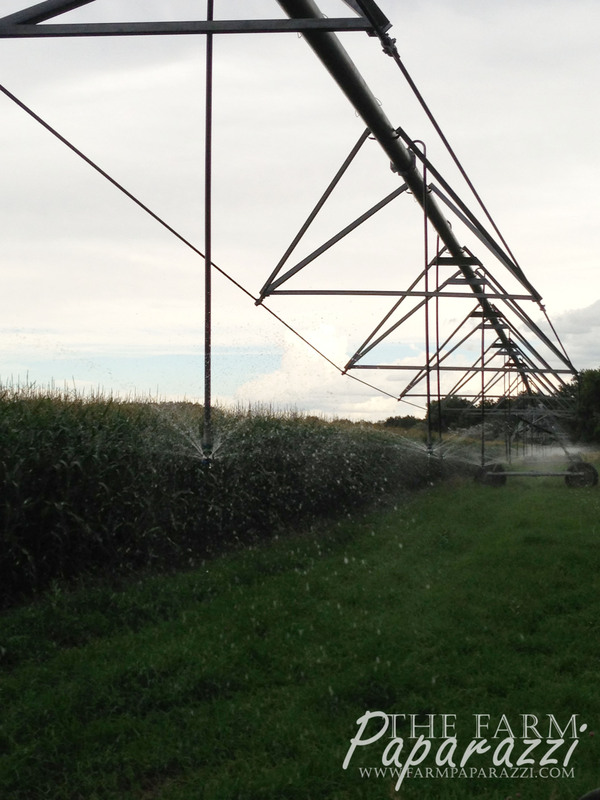 However, we do have a few fields that have wells or other non-district sources of water. No? It’s just me? Okay, excuse me while I call my psychiatrist. 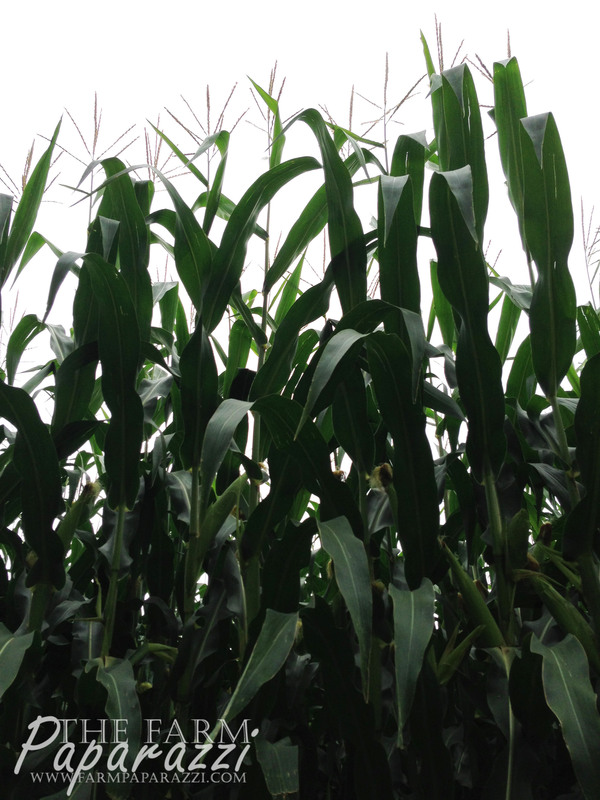 What is you thoughts on the new genetically modified corn seed that is more successful in the ethanol process, and in returns it receives premiums from the ethanol plant? Will this change your business at all? Hi Karoline, thanks for your question! We don’t raise any corn directly for ethanol production. All of our corn at this point is sold to cattle feeders for beef production. I’ll have to look into the new corn seed. Thanks for alerting me to this advancement in ag technology! As always, beautiful pictures. And happy corn, happy cows right? Thanks Angela! Yes, you’re probably right about that! Hope all is well with you!